Say what you will about video game controllers all being "the same", but when you've reached hour six of a marathon play session, the controller you're using can be the difference between continuing on or being defeated, both in game or out in the real world due to bad button layouts and hand cramps. 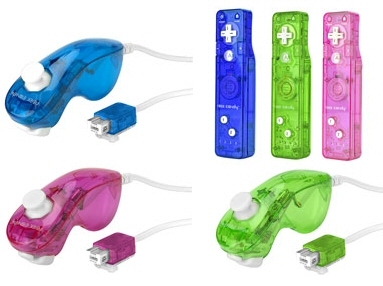 I recently had a chance to test out PDP's new line of Rock Candy controllers for Xbox 360, PS3 and Nintendo Wii, and while, yes, these controllers have selling points mostly surrounding their bright colors and transparent shells, there are actually some great design choices thrown in as well. 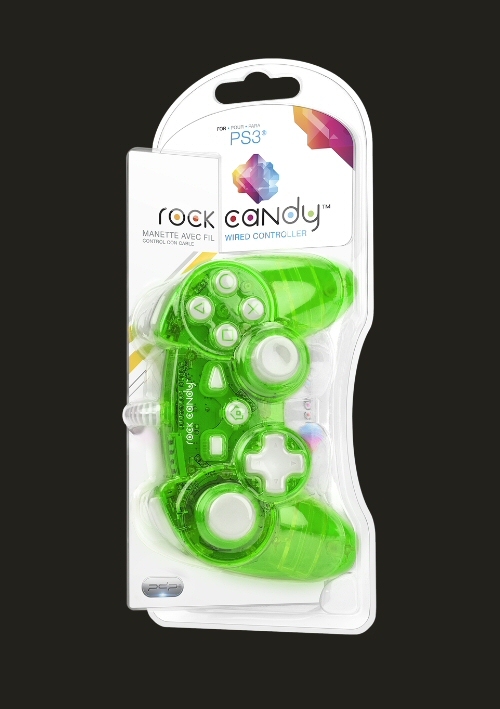 The Rock Candy PlayStation 3 controller is easily the most unique of the bunch, both in its size and button layout. The wired controller is slightly smaller than a traditional PS3 controller, and the buttons have been positioned to resemble a 360 controller, with the left analog stick being moved up and to the left, with the d-pad resting below. This is a layout other third party controllers have also attempted, and for good reason, as the traditional PS3 controller allows for your thumbs to clumsily run into each other during a hectic driving or shooting sequence, but that simply isn't the case here (heck, even games as simple as Katamari Forever also suffer from this controller design issue). Unfortunately, the controller lacks a rumble feature but is also incredibly lightweight as a result. The L2 and R2 buttons have also been slightly tweaked over a traditional PS3 controller, requiring a slightly harder press than on the incredibly springy buttons of the former (a quality that I personally have never enjoyed). If I could change anything about the controller, the front face buttons could be a bit larger, or the space between them simply reduced, as the X, circle, triangle and square buttons feel a bit too spaced out or small. Furthermore, the back of the controller has plastic ridges, molded to the shape of the hand, allowing your middle fingers to rest on a ridge while the rest of your fingers sit below. This is uncomfortable after a time, as the ridge comes to a fairly narrow peak that can dig into those second fingers if you're gripping the controller too tightly. One final complaint comes in the length of the USB cord, which would definitely benefit from at least two or three more feet of length. 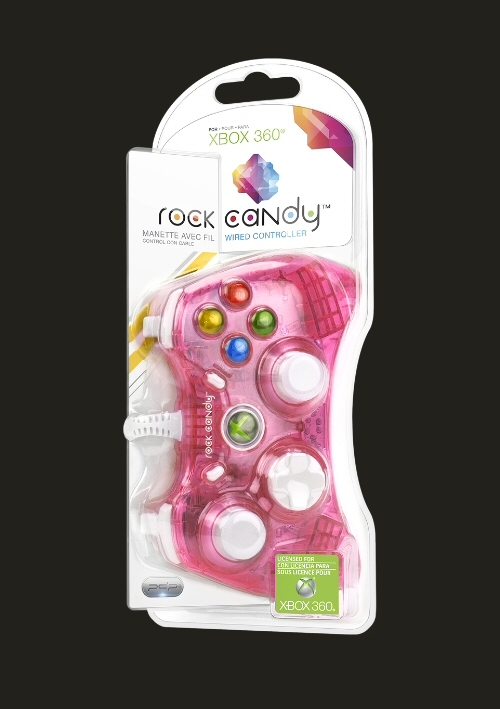 PDP's Rock Candy controllers for Xbox 360 are perhaps the least noteworthy of the bunch, as they stick fairly closely to the original (this is fine, mind you, as the original controller lacks glaring flaws). The wire suffers from the same lack of length as the Rock Candy PS3 controller, but it offers a breakaway in cases where the cord is accidentally tugged a bit too tightly. Unlike the PS3 controller, the Xbox 360 option is heftier, includes rumble, and also lacks any sort of specific molding on the back of the hand grips. 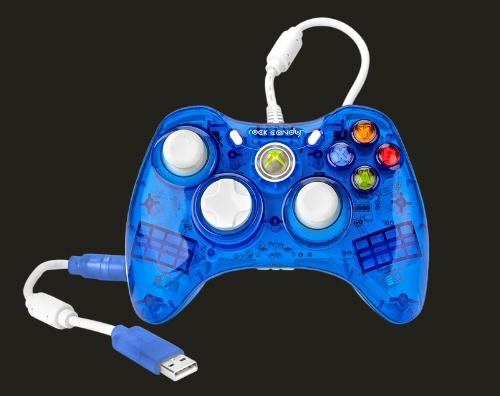 It's a natural feeling for anyone that's dedicated to first-party 360 controllers, with only a few exceptions. That is, the rotating pop-up d-pad is missing here (though that's not a huge deal), and the start and back buttons are actually placed at an angle, far and away from the home button, which takes some getting used to. If nothing else, this wired option is great for PC gamers that prefer a controller over keyboard and mouse, as the cord length is forgettable in those cases. 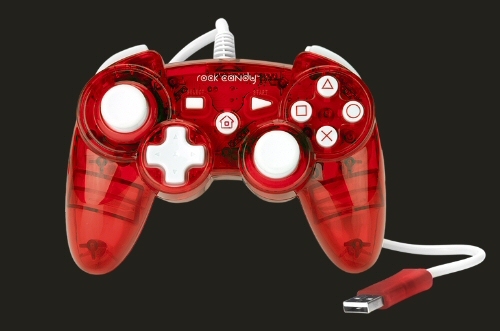 Is this controller overall a better option than the Xbox 360's pack-in? Ultimately, I'd have to reply in the negative, even if only for the fact that the controller is wired, and pack-ins obviously aren't. I'll admit that I've never been a huge fan of the standard Nunchuck, as its small size and "slippery" finish have never felt right in my hand. I found relative perfection in Nyko's Kama Nunchuck, which is larger and offers a non-slip grip on the back, simply making it more comfortable to hold. That being the case, I'll admit that I was a bit skeptical when noticing the once again slippery finish on the Rock Candy Nunchuck, but its shape and curves thankfully prevent this from being an issue. In this case, the design of the back of the Nunchuck is heavily exaggerated, with a large curving section of plastic giving us something tangible to wrap our unused fingers around, while the index and thumb do all of the work. 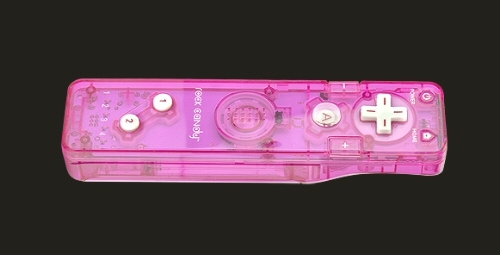 The octagonal shape is still present around the thumb stick, giving easy access and tactile feedback to those eight basic aiming directions, and the Z and C buttons have been left mostly unchanged. To be especially clear, the Z button lacks the "lip" that makes the button feel more like a trigger on other Nunchucks, but I never personally found this to be an issue. Overall, I would've liked the Nunchuck to be a bit larger or heavier overall, as the controller feels a bit fragile otherwise. As for the WiiMote itself, its button layout is incredibly different from the standard. For instance, the + and - buttons have been moved to the sides of the A button and don't even feel like buttons at all. They don't stick up from the surface of the controller and are the same color as the plastic shell, making them hard to see and harder to press when you need them. The home button has also been moved, now resting in the top right corner of the controller, across from the expected power button, both of which have been given the same flat, hard-to-press design. Here, the speaker has taken up residence where the Home, + and - buttons traditionally sit, and comes with fairly average audio quality. That is to say that the audio isn't great, but no WiiMote audio has ever truly been great. If anything, I would have preferred to have the volume be a bit louder, but that might have just decreased the quality even more with static. While the movement of the + and - minus buttons can ultimately be forgiven (since they're rarely used), the 1 and 2 buttons have undergone a much more unforgivable change. They now rest at an angle, with 1 on the upper left and 2 on the bottom right (when holding the WiiMote vertically), which is hard to get used to, to say the least. Consider, if you will, a racing game that asks you to hold the WiiMote sideways, using the 1 and 2 buttons as gas, break, tubro or some combination thereof. Now imagine that you need to quickly tilt your thumb from 1 to 2 or vice versa. Instead of simply being able to tilt your thumb as before, you'll now need to tilt and raise or lower your finger to cross the odd gap that now rests between these two buttons. This alteration might not seem that big on paper, but in practice it's huge (especially when considering the dozens of other third-party controllers players have to choose from). This is unfortunately a case where too many things were changed when they simply didn't need to be. 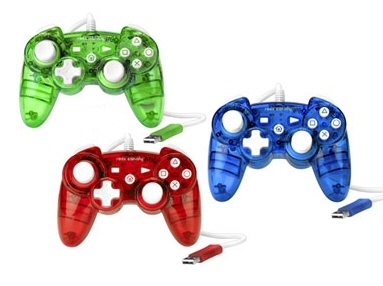 When all is said and done, PDP's Rock Candy line of controllers comes with its fair share of hits or misses. The Wii Nunchuck is better than the standard, but still not the best on the market, and the 360 controller lacks any real improvements to make it better than the original. The Wii Remote can be skipped entirely due to its many unwelcome button rearrangements (and the lack of MotionPlus), but the PS3 controller actually shines due to the same thing (and is easily the best individual product in the entire line). Visually speaking, each and every controller is definitely vibrant and pretty, and the price points, which range between $12.99 and $24.99, are in line with what we'd expect from other third-party manufacturers. 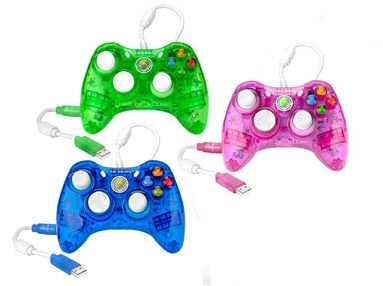 Ultimately, the success of these Rock Candy controllers will likely rely on the bright colors and transparent shells that are obviously the first thing any shopper would notice, but these controllers are yet another example of how once size doesn't fit all when it comes to a player's controller of choice.